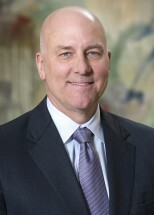 John P. O'Neil joined Elk & Elk Co., Ltd. in 2012 as an equity partner. He is one of the firm's leading medical malpractice and personal injury attorneys, whose practice focuses primarily upon death and catastrophic loss cases. Prior to joining Elk & Elk, John spent 14 years at one of Ohio’s top defense law firms, where he served as a practice area chair and member of the firm's management committee and executive group. He also spent time working as a successful prosecutor in the Dade County State Attorney's Office. Over the years, John has successfully tried more than 80 jury trials in various areas of law, including medical malpractice, transportation, legal malpractice, premises liability and others. John's first chair jury trials are in state and federal courts, and he has argued in the Eighth District Court of Appeals, Ohio Supreme Court and Sixth Circuit Court of Appeals. John practices with the Ohio firm of Elk & Elk Co., Ltd., located in Mayfield Heights. He received his undergraduate degree from Miami University in Oxford, Ohio and his law degree from John Marshall Law School in Chicago, Illinois. John is married and has four children. $5 million settlement – Loading/unloading accident in Indiana, which caused catastrophic brain injury. $4.75 million settlement – Truck crash, which caused catastrophic orthopedic injury. $4.5 million settlement – Case involving a truck striking an elderly pedestrian causing orthopedic and neurological injuries. $3.65 million settlement – Truck accident where a floor mat (product defect) caused unintentional acceleration, causing severe and permanent neurologic injuries. $2.3 million settlement – Highway crash, causing significant permanent orthopedic and neurologic injury. $2.0 million settlement – Medical malpractice in Florida of failure to properly diagnose an abscess leading to lower extremity paralysis. $1.1 million settlement – Intersection collision which resulted in a permanent foot drop. $1,035,000 million settlement – Shooting range accident which caused serious internal injuries. $787,500 result – Bicycle accident case that caused the death of an adult male. $585,000 settlement – Negligent security case on a college campus. All lawsuits are different and Elk & Elk makes no representation or promises that it can obtain the same results in other cases. These results do not guarantee, warrant, or predict the outcome of any future legal matter. You should consult an attorney for advice regarding your individual situation. THE RESPONSIBILITY OF THE CLIENT if we win or settle your case.